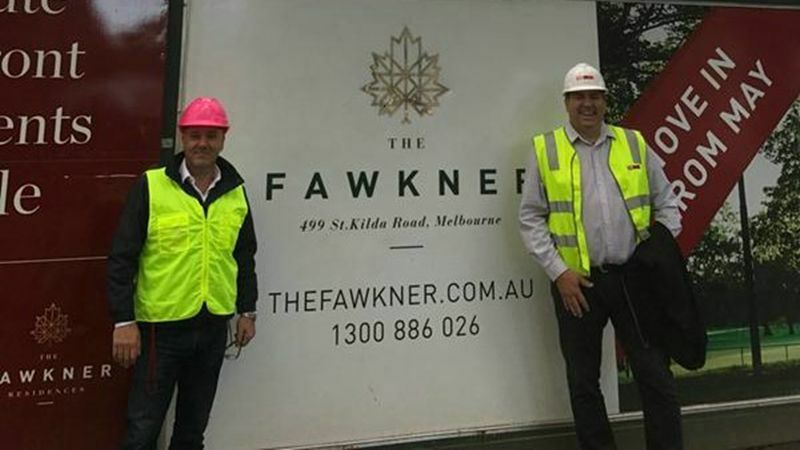 Focused Facilities Management is pleased to be working with the LAS Group on their newest development, The Fawkner. Situated at 499 St Kilda Road, The Fawkner will comprise of beautifully designed residential apartments, with facilities including a wine room, theatre, infinity lap pool, spa, sauna, and gymnasium. Focused Facilities Management have been engaged to provide facilities management, a Building Manager, and 24/7 concierge services. 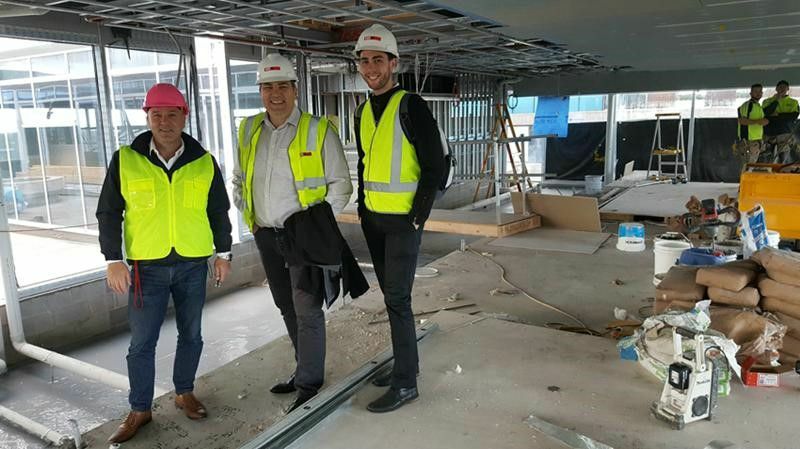 Vince Curcio and Alec Karras, two of Focused Facilities Management’s Directors, suited up to inspect progress onsite and are excited to start welcoming The Fawkner’s very first residents in the near future.